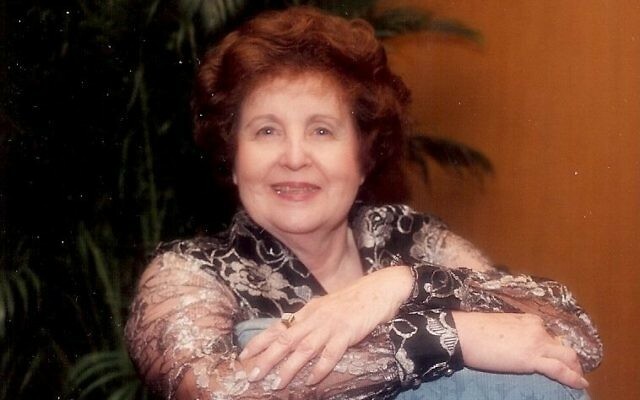 A native of Birmingham and longtime Buckhead resident, she was active in charitable causes. Longtime Atlanta resident Betty Lee (Berman) Roth passed away peacefully in her Buckhead home after a stroke on Monday evening, Feb. 12, 2018, surrounded by her family. She was laid to rest Feb. 14 at the Knesseth Israel–Beth-El cemetery in Birmingham, Ala.
Betty was born in Birmingham on June 7, 1929, to Harry and Ann Berman as the middle of three daughters. Coming from a close-knit family and extended family, and growing up in an Orthodox Jewish community, she recalled her childhood years as nothing less than idyllic. Betty cherished both her family and faith and carried her love of both throughout her life. Always a high-achieving student, Betty graduated with honors from the University of Miami with a double major in psychology and sociology. After a couple of years in social work, Betty married in 1952 and moved to Plantation, Fla., where she raised her two sons. During this time she was very involved with charitable causes. Betty was a founding board member and volunteer for a school for the deaf. She was also very involved with the National Council of Jewish Women and for a period served as the president of her local chapter. Betty relocated to Atlanta in 1977 to live closer to her older sister and mother, who were both widowed, and remained there until her death. While in Atlanta, she worked for several years at David’s, an interior design firm in Buckhead. She also volunteered as an ESL tutor and spent many years helping Jewish immigrants from Russia settle in the Atlanta area. Betty had a passion for traveling the globe, which she often did with her older sister, Phyllis. She regarded being one of the first American tourists to visit China after it was opened by President Richard Nixon to be her greatest adventure. Betty is survived by her two sons, Michael Roth (wife Katie) of Alpharetta and Allan Roth (wife Patty) of Colorado Springs; grandson Kevin Roth from Golden, Colo.; niece Patti Harris from Walnut Creek, Calif.; and nephew Lawrence Goldman (wife Randi) from Hollywood, Fla. Betty was preceded in death by her parents, Harry and Ann Berman; her sisters, Phyllis Newman and Rita Goldman; a niece, Shari Berg; and many loving cousins, some of whom were like siblings to her. In lieu of flowers, donations may be sent to Knesseth Israel Congregation (KI), 3100 Overton Road, Mountain Brook, AL 35223, 205-969-5913, www.kicong.org.